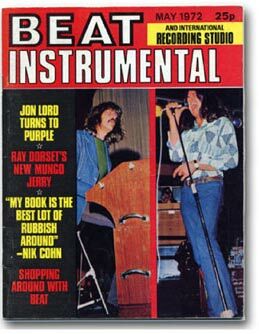 For 40 years, members of Deep Purple have been appearing on the front of magazines and music papers, many of which are now very collectable. This gallery features covers from the DPAS Archives and Deep Purple fans worldwide. Have you any covers for the gallery? Scans should be 300 pixels high, 72 dpi, nd be accompanied by cover date.